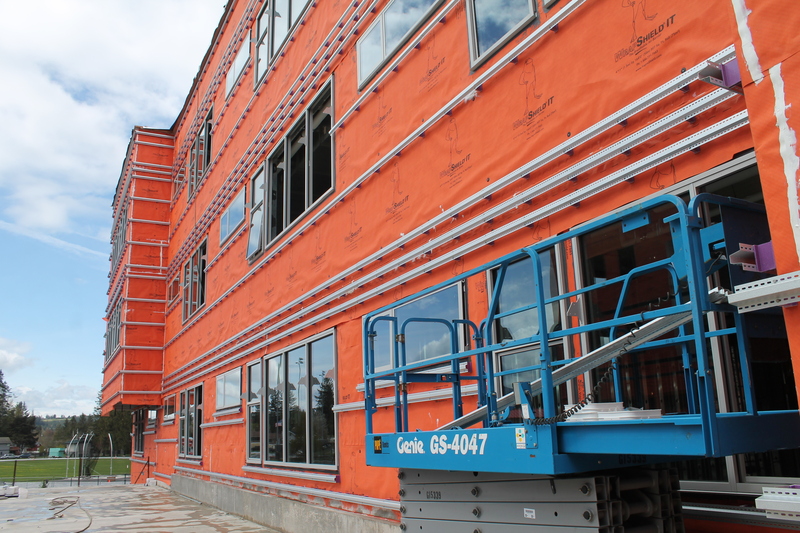 The installation of windows to the first of the campus buildings (Area A that will serve freshmen, pictured below) is an exciting development that can be seen from Meadowbrook Avenue. In a Capital Facilities Update to the School Board on April 19, Assistant Superintendent Ryan Stokes reported that the cement pouring for Areas A-F is nearing completion. 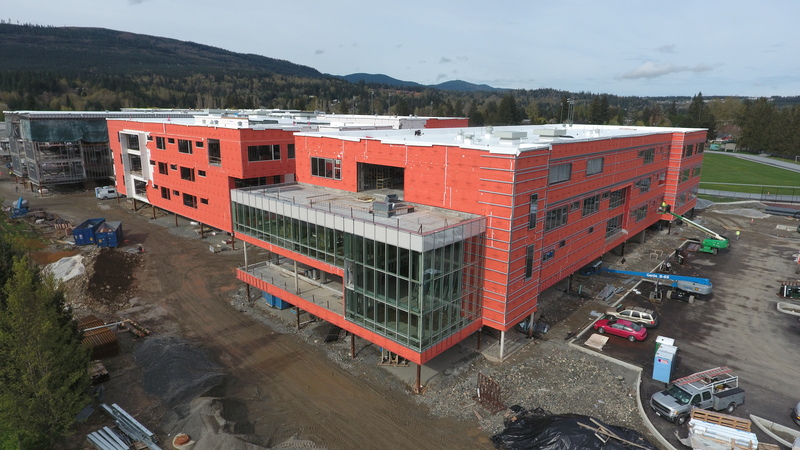 Roofing is also completed for Areas A/B/C, and is anticipated to be finalized for Areas D/E/F soon. For more activity details, read the April 16, 2018 Status Report from the Project Manager. In addition to the photos below, find more photos on page 2 of the status report. 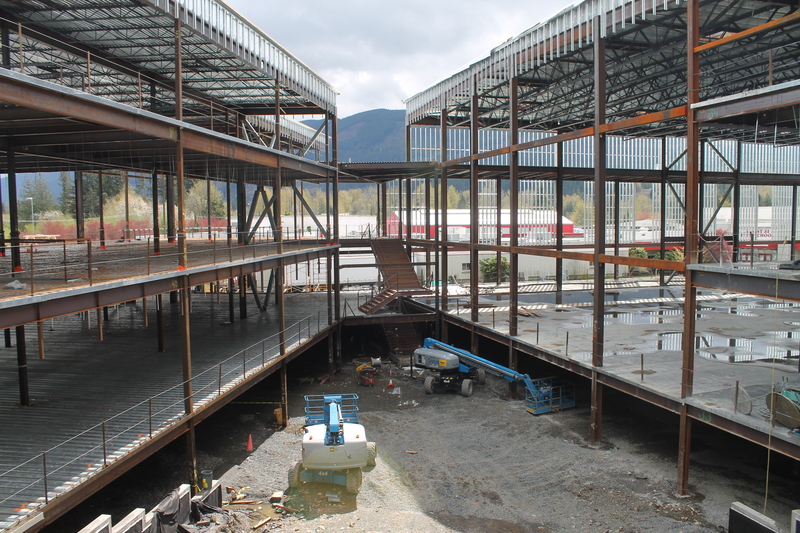 Glass installation has begun on Mount Si High School's new Freshman building (Area A per the site map below). Insulation and siding will be attached to the exterior rails. An interior courtyard serves to connect the parking garage to the buildings. 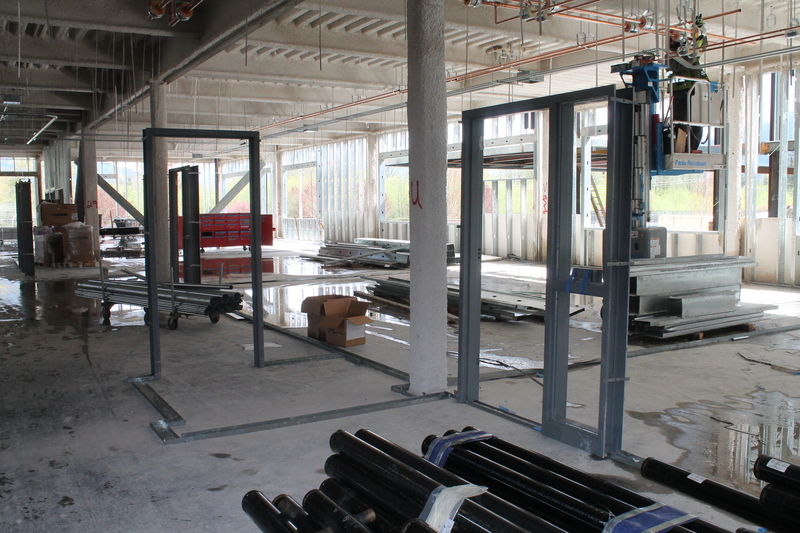 In Area C, these installed door frames patiently await the walls to create classroom spaces and hallways. 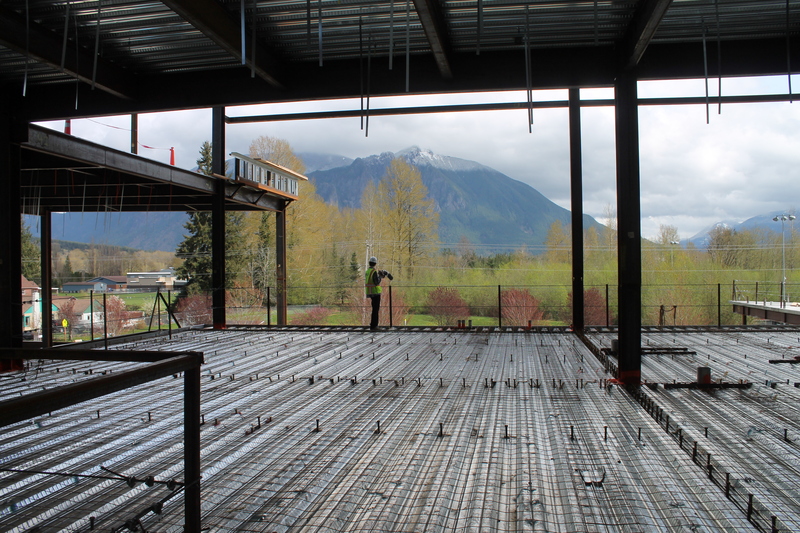 This is the view of Mount Si that students will enjoy from the Media Center (library) in Area D.
The lobby of the gymnasium (Area F) is ready for concrete. The entrance to the gym will be on the left. 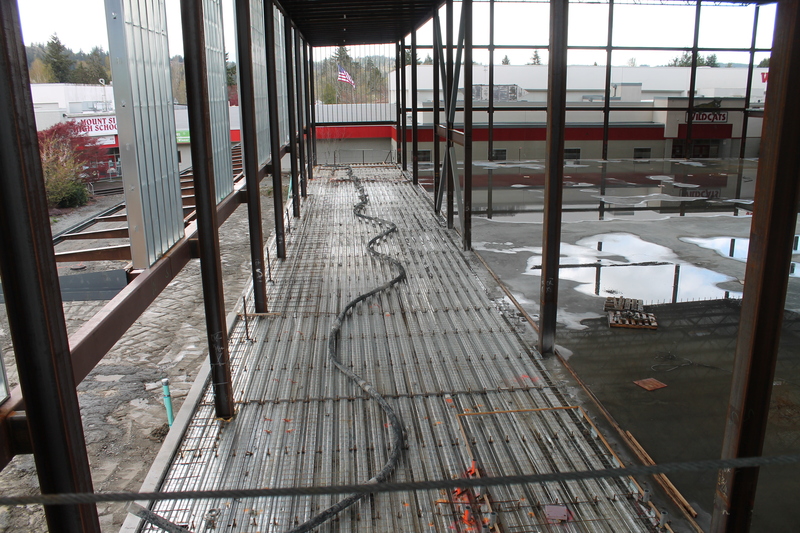 This image of Areas E-F shows the new gymnasium and the auxillary gyms on the second floor. For reference, see the sitemap below. 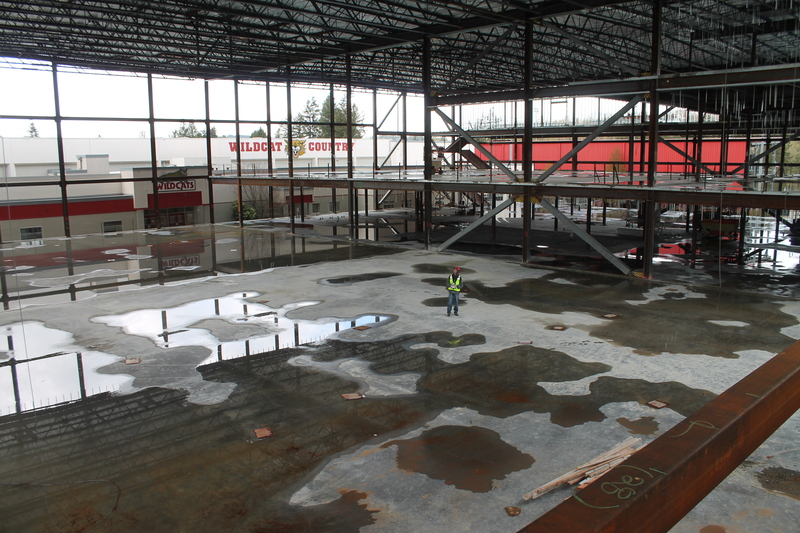 Areas A-F are currently under construction to serve students starting in the fall of 2019. 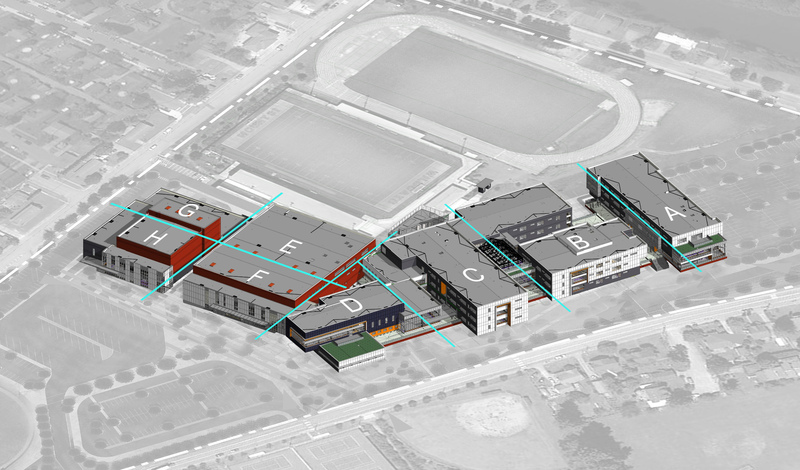 Areas G-H, the new Performing Arts Center, will be built after demolition of the old MSHS building.